The Vanguard 10×42 binoculars, a high performing device which sports a host of brilliant features, can help you effectively with your hunting, bird watching and other outdoor expeditions. Ease of use has been a major element in the design of this product, and its compact shape and size makes sure that you can take it anywhere and everywhere you want. Having a good, heavy duty pair of binoculars is a necessity for hunters, explorers and various enthusiasts. This Vanguard 10×42 Binoculars with ED Glass Review will explain in detail the various aspects of the device, so that you can decide for yourself if it meets the requirements of what you are looking for. The ergonomic design of the Vanguard 10×42 binoculars not only lets you hold them with ease and comfort but also makes sure that you do not lose your grip. 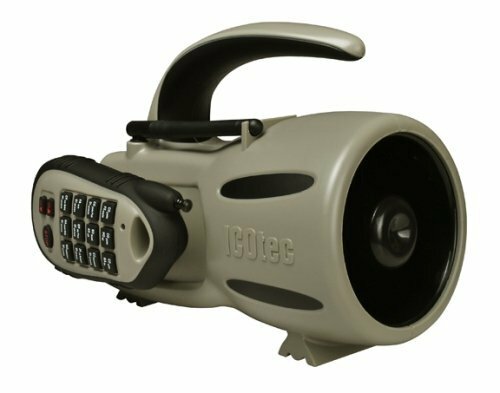 The “open bridge design” along with the light weight of the device and a strategically placed large precision focus wheel ensures its smooth operation. The body is made of durable material which also feels good to handle. Both the objective lens and the eye piece are protected via rubber guards which fit in perfectly, which offers the lens enough protection when not in use. The entire body of the device is o-ring protected, ensuring that moisture or dust particles do not find their way inside the chassis. Also, the inner atmosphere of the device is charged with nitrogen instead of air. If the outside temperature is low, being full of nitrogen prevents water droplets or vapors from forming inside and interfering with the device’s clarity. These features make sure that the device is weatherproof and suitable for use in any conditions. The ED (extra low-dispersion) glass helps in enhancing the color resolution and clarity of the image and reduces chromatic aberration, thus the image rendering is sharper. The lenses are treated with v-max silver coating which makes the images crisper. The BAK4 prisms are p2 phase coated to ensure clear images at high resolutions. The emerald coating provides the full spectrum of color within the green band. Also, the multiple anti reflection coatings applied to the lens exteriors ensures that reflection is at a minimum and you get the brightest images under even low light conditions. The Vanguard 10×42 binoculars have a large field of view measuring at 340ft at 1000 yards. Binoculars capable of 10x magnification with this much field of view is excellent. Also, having a close focusing distance of only 2.5 meters, this device has a brilliant combination of opposites, since having a longer field of view reduces the close focusing distance. 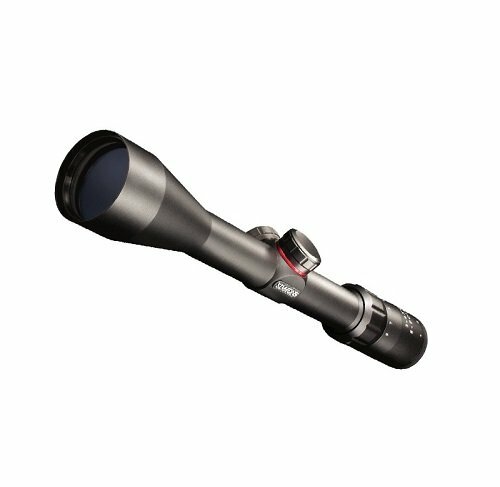 The specs of the Vanguard 10×42 can easily beat other similar ranged binoculars by leaps and bounds. Having a good eye relief is important for binoculars, since many people who use them may wear prescription glasses. Keeping that in mind, Vanguard has added a hearty 16.5 mm eye relief, which is perfect for usage even while wearing glasses. Also, the eye rest is covered with soft rubber, so it feels comfortable in any situation. The diopter ring can be locked, which ensures that turning it back on focus and also locking it at that position is easy. Ergonomic design, easy to grip and elegant looks with ease of operation. Durable, waterproof, fog proof and weatherproof. Renders high quality bright and crisp images with great contrast and no visible chromatic aberration. Has long field of view yet close focusing distance. Has 16.5 mm eye relief. It is hard to adjust focus for small distance intervals. Q) Are these fixed or zoom binoculars? A) They are fixed at 10X magnification, and objects near or far can be magnified by adjusting the focus. Q) Can people with glasses or contact lenses use it without problems? A) Yes, people who wear glasses or contact lenses will not have any problems because of the eye relief and mechanism of the device. Q) Can they be attached to a tripod? A) Yes, they can be attached to a tripod with any tripod adapter attachment available in the market. From a usage point of view, the Vanguard 10×42 binoculars meets every requirement of providing sharper, clearer and brighter images at both long and short distances and is also user friendly and a heavy duty accessory. These binoculars are also lightweight and more compact, thus carrying them with you while on hunting or hiking trips is not a problem. From the above Vanguard 10×42 Binocular with ED Glass Review, it is clear that these binoculars perform well and are a great option look into if you are interested in adding a new pair of binoculars to your list of accessories. You can check a few other Top Hunting Binocular Reviews with Buying Guide.